Printed Rolled Maps of Ireland from the mid to late 1800's. • Printed, rolled and posted to your door. • Including personal inscription. 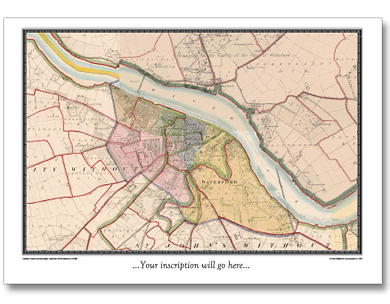 Cassini is delighted to offer you our stunning range of historical Ordnance Survey maps of Ireland. Simply search for the area you are interested in, buy and have it professionally printed and posted to your door.